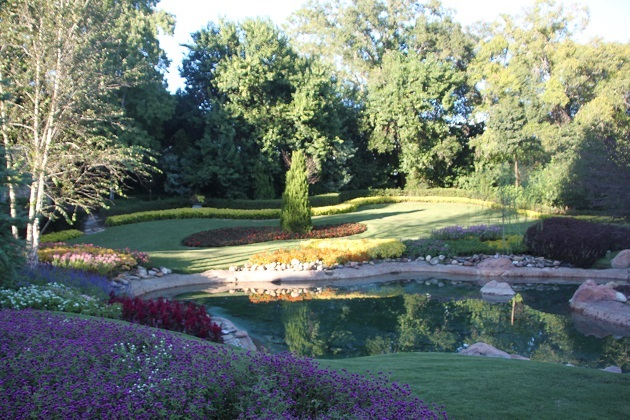 World Showcase in Epcot is a bit different to Future World – here eleven countries are represented (Disney style) around the perimeter of a lagoon. The Food and Wine Festival was in full swing during our visit – this was just wonderful and brought a whole different vibe to the place. Apparently just as popular with locals as visitors, there were always quite a lot of people around but I can totally see why this would be. We loved it, had such fun visiting the different temporary pavilions and buildings from different countries and made it our mission to eat and drink our way around the world. Smallish portions but this is necessary and means you can sample many different dishes and drinks. This was one of my Orlando highlights. 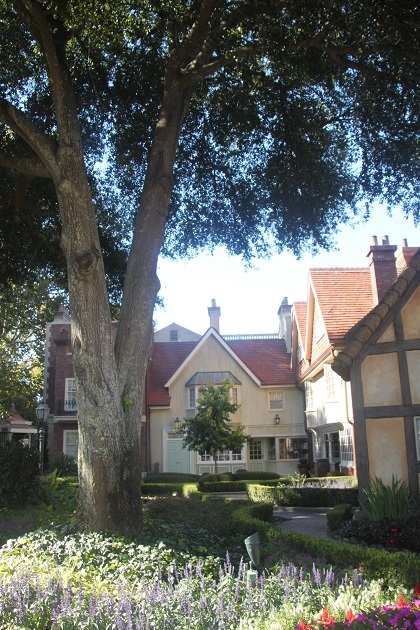 The main part of World Showcase is the countries. You stroll around and move from one place to the next, each pavilion represents a different country and gives glimpses of the culture with food, shops, exhibits, rides, shows and even the people who work there are nationals of that place. Canada was our first stop. We walked through a “canyon” with a rushing waterfall and got sprayed as we walked. We passed lovely gardens – apparently inspired by Butchart Gardens in Victoria – on our way to the 360 degree film “O Canada.” Husband and I had seen this years ago, it hasn’t changed and some parts are a little dated but we did all enjoy the beautiful scenery and it left me with more of a desire to visit that wonderful country. 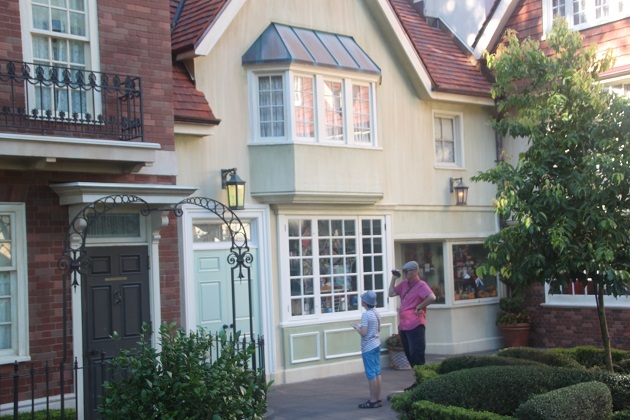 Son enjoyed the Northwest Mercantile shop – this was to be a recurring theme in each pavilion. 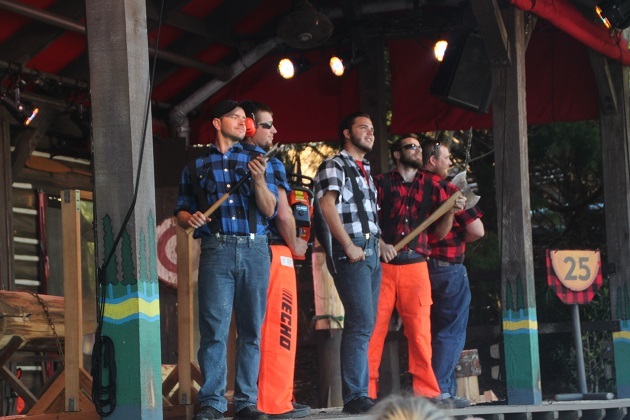 The show with Canadian lumberjacks had us all enthralled. 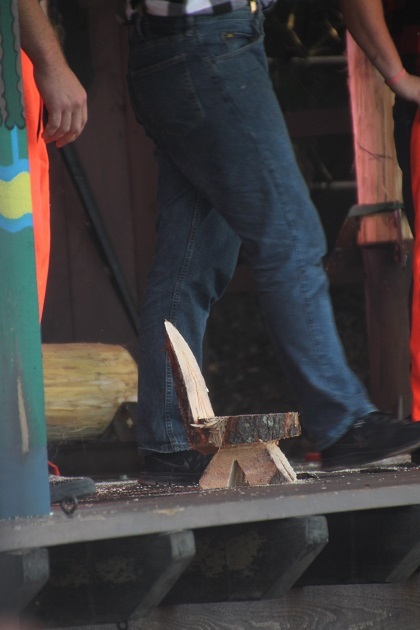 Throwing, chopping, sawing and competing with each other, these guys demonstrated their amazing logging skills and kept the crowd thoroughly entertained at the same time. 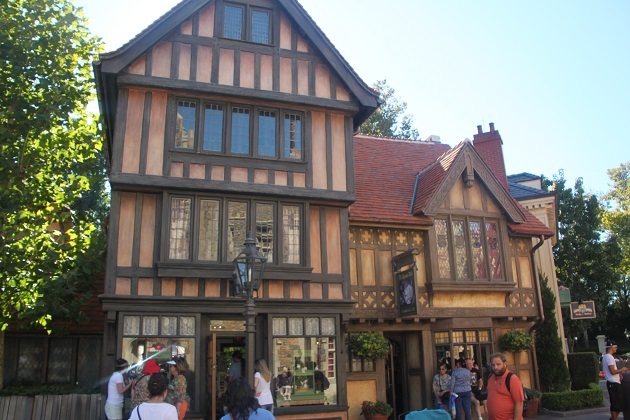 On to England, we checked out the buildings, found a hedge maze and plenty of (over priced) British things in the shops. A stroll down a cobble stone street and we ended the day listening to a Beatles tribute band performing in the little pavilion. Not exclusively Beatles music but British hits from the 1960’s, they were excellent and great fun. It was lots of fun and quite good to say you’d been to Canada and England in the same afternoon!! Thank you!! So many interesting things to photograph, spoilt for choice here! 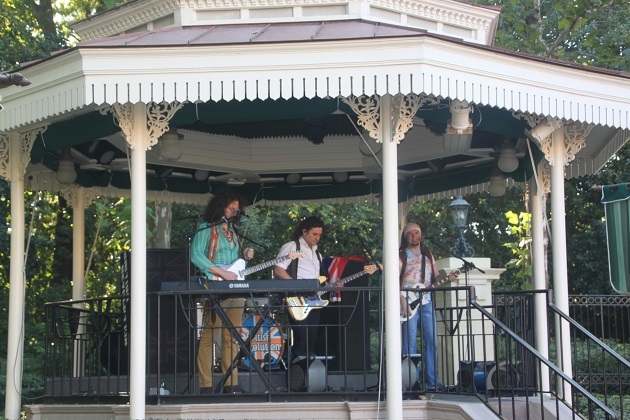 Joy, wow the food and wine festival added a whole new dimension! Sounds perfect to me. It was wonderful Pam, to be able to wander around and see everything but stop off for little bites and snacks from different countries, such a great idea and a wonderful experience for us. 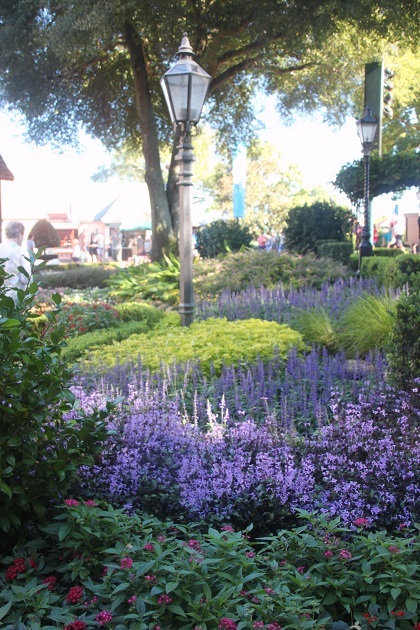 I can never get over the gardens at Epcot — or anywhere in Disney World. Creatively designed. Carefully tended. Never a weed in sight. Thanks for your beautiful post. Completely agree, any time I’ve ever been whatever time of year the grounds and gardens have been simply stunning. It’s such a lot of fun – crossing from country to country and then sampling all the different food, we loved it! Some lovely photos. 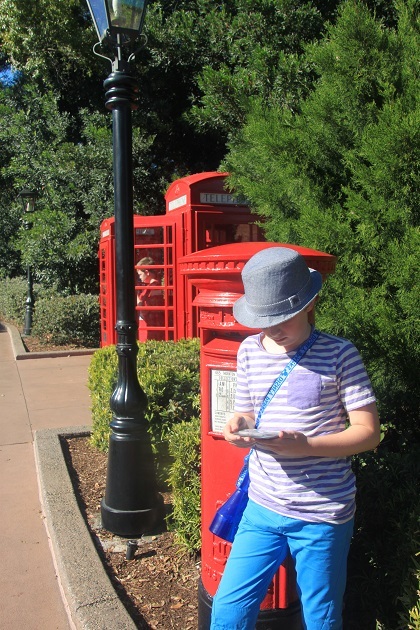 We visited Butchard Gardens awhile back, I loved Vancouver Island and especially Victoria! I love Epcot! It’s my favourite park! Have you tried the coca cola from all over the world? Oh yes – we tried it out several times!! Loved that. 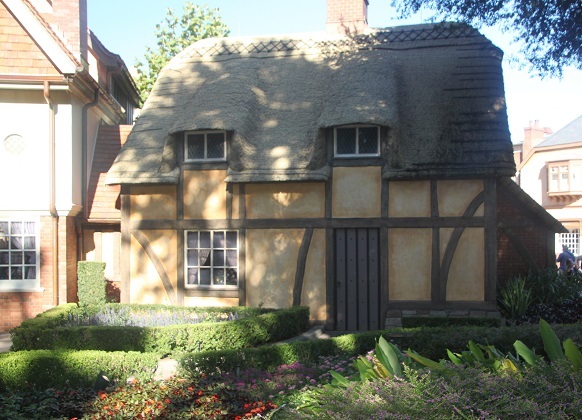 Which was your favourite Epcot country? 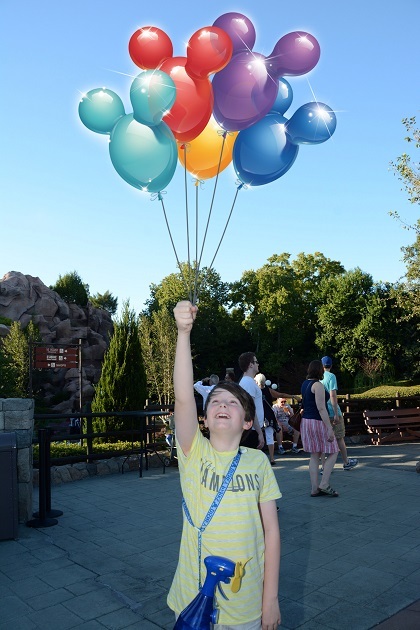 Tricky one – we tried to base this visit around the different shows going on in each Epcot country so I lean towards which shows I liked best – some Chinese acrobats who were outstanding, a fun Mexican music show and some French acrobats/comedy act that our son insisted on seeing twice. I think I may have said this before, if so I apologise for repeating myself. 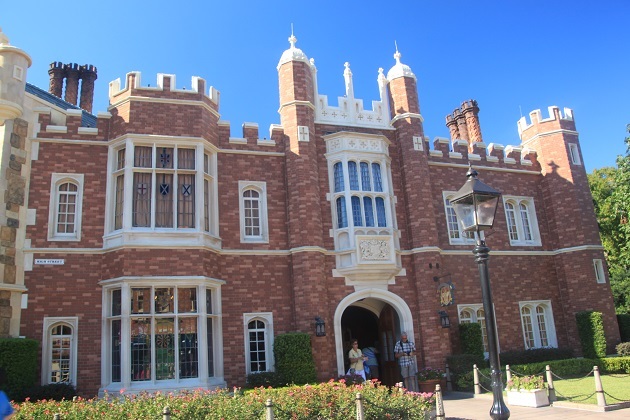 World Showcase is the one place that I would like to revisit in Disney World. Which country would you add if you could? Hmmm, maybe Australia – think they could do something terrific there with that great country…. 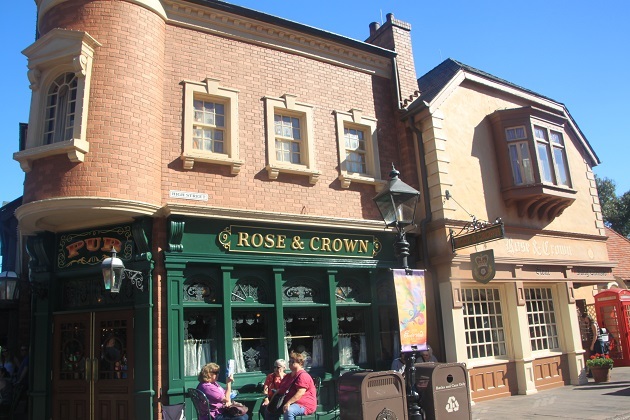 also because I don’t think I could bear the long journey to get there so a flavour of the place in Epcot would be good!! Australia is an excellent suggestion. I would make a case for Russia but I can’t see that happening! Hmmm… I see what you mean – it would be great too though, definitely liven things up!! Something to look forward to though!! We loved the world section too. It was incredibly hokey and full of stereotypes but also great fun and a nice break from whizz bang rides. I just about collapsed looking at the price of clotted cream in the British shop though. We weren’t lucky enough to see Mary Poppins. The boys would have loved that. 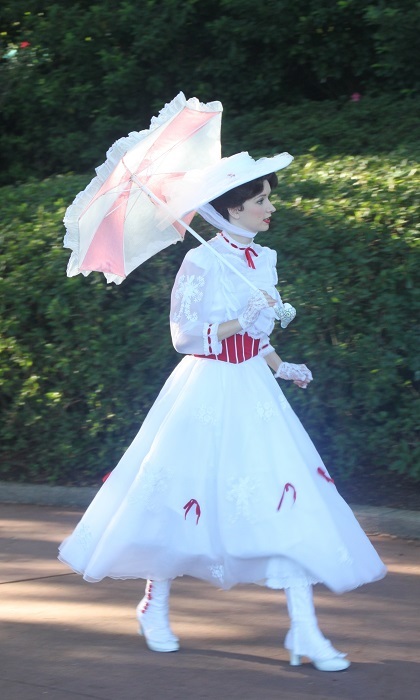 Mary Poppins just strolling down the street was a real highlight!! 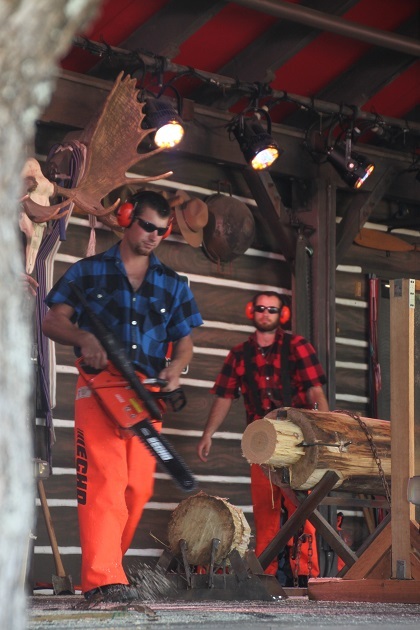 We loved all the shows as well in this area and I definitely loved all the food sampling!! LOVE the world showcase, one of my favorite spots in all of Disney World. As an American I have often wondered how people from other countries perceive their country’s presence here. Is it authentic? Dramatic? Overdone? Totally wrong? Spot on? Sounds like your family enjoyed the United Kingdom! We always stop in those shops for the Cadbury- it might be overpriced but it is one of the only spots in the states where I can find my beloved Twirl bars! We really enjoyed our own UK pavilion and all of the others. Actually I don’t mind dramatic and overdone anyway, always adds to the experience!! Twirl bars – yum – definitely worth paying a bit extra to get some of them, I would too if they were hard to get!! Completely agree George, the food festival is wonderful too, we just loved wandering and sampling all those different cuisines and dishes – highly recommended!! 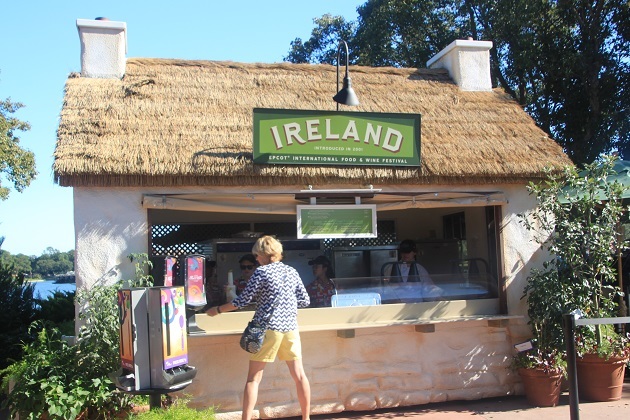 The countries of EPCOT are a wonderful place to visit and eat. We love it there. 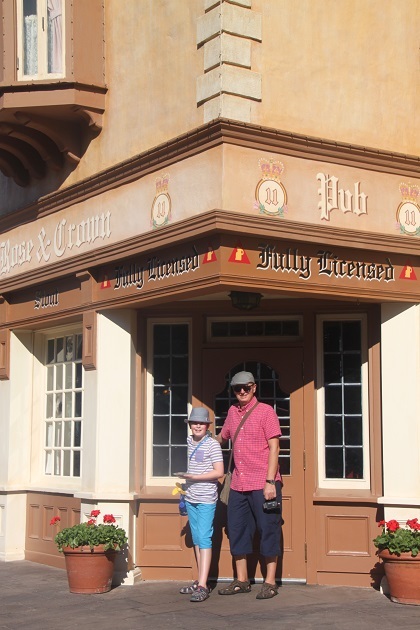 We loved it too Terry, so different to the rest of the theme park experience and the food was just great. Canada is right up there on our wish list – probably top spot to be honest we’ve just never made it… one day. It’s a big undertaking – the distance can seem short on the globe but it is a long time consuming journey! When you spend that much time going that far you need enough left over to really make the most of it… That’s why our Europe trips tend to be in the summer – so we can have a bit more time. Canada is also such a big country that most travellers have to limit visits to one part. Even we have never been as far east as the Maritime provinces, and I would really love to. 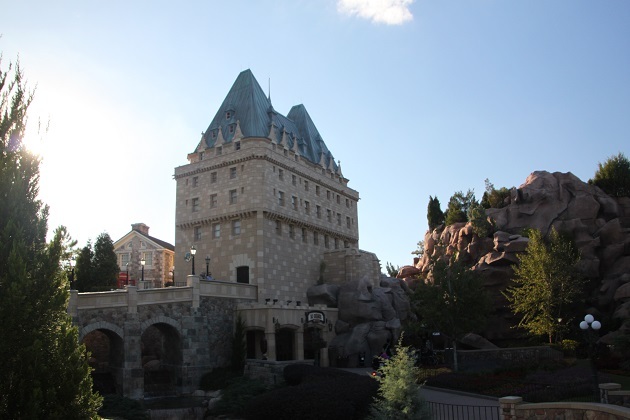 And a visit with the children to old Quebec… Like you said, one day! It’s quirky and fun, the fact you can eat different cuisines and even interact with the nationals of that country is a really cool idea. This is nice! We love the rustic feel of the place. 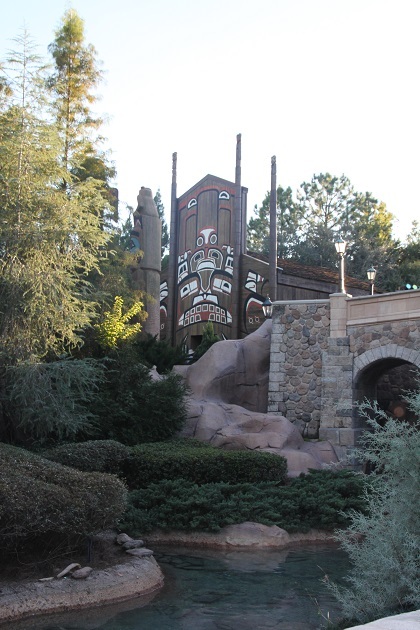 Absolutely, they’ve done a good job with the theming. Anne of Green Gables was one of my favourites too Rosemary and Canada has long been on our wish list. I have some distant relatives there too but the best we’ve ever managed was a brief stopover in Toronto airport before flying elsewhere. One day…. Hope you’ve had a great week too and your weekend is a lovely one.